Are you passionate about social justice? Do you want to work to create social change and help people? Are you searching for a degree program that will fit your busy lifestyle? Pursuing a degree in social work will prepare you for a career path in human services; thus, applying your education into practice in a variety of interdisciplinary fields, including health care, education, government, mental health, rehabilitation, criminal justice (adult corrections and juvenile probation), child and adult protective services, counseling, and community service. The career field of social work is one of the fastest growing professions in the U.S. with forecasted growth of almost 20% through 2022 (U.S. Department of Labor). For professional variety, few careers can compare with social work. While social workers are employed as lobbyists, administrators, and policymakers, they frequently choose to work directly with individuals, families, and groups of people who experience economic, political, and social challenges. Curriculum is delivered in a hybrid format that combines online and face-to-face coursework. Students complete 67% of the course content online and 33% in a face-to-face format. 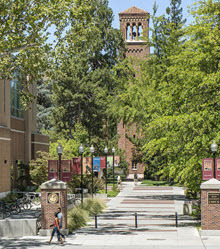 Students attend courses on the Chico State campus two to three weekends per semester (fall, spring, and summer) and attend regularly scheduled live class sessions through Zoom webinar platform. Students can choose either an accelerated, two-year course plan or a part-time, three-year course plan. Please consult with the DL Program Coordinator for advising. The major coursework for the BSW Distributed Learning program is the same, fully-accredited curriculum as the traditional, campus-based BSW program. The program consists of five pre-requisite courses (15 units)***; three Social Work core pre-requisite courses (9 units)***; 12 Professional Sequence courses, including one social work elective course (37 units); plus three Upper Division Pathway Courses (9 units). For detailed major coursework and content, please visit the School of Social Work’s website . ***It is very important that if you are interested in pursuing a BSW, please consult with the DL Program Coordinator as some courses at your community college/transfer institution may be equivalent to our pre-requisites. In addition to coursework, field placements are made throughout the Chico State service area. Many students are able to use their employment sites for an internship. Upon completion of the program you will have a foundation of knowledge and skills to access, analyze, plan, evaluate, and treat clients from diverse backgrounds in various settings and systems. Is the Bachelor of Social Work (BSW) Distributed Learning (DL) Program appropriate for me? If you are interested in obtaining more information about our BSW DL program or have questions regarding your academic path in pursuing a BSW via hybrid, please visit the School of Social Work’s DL website  and schedule an advising call with the DL Program Coordinator to review your current academic standing and courses completed to date, as well as to discuss an academic plan and the application process. Please note: Admission to CSU, Chico does not guarantee acceptance to the BSW Professional Sequence. We urge that if you are interested in our BSW DL program, please contact the DL Program Coordinator. Step 1: Schedule an advising call with the program coordinator to review your current academic standing and courses completed to date, as well as to discuss an academic plan and the application process. The BSW Professional Sequence courses begin each spring semester. However, we recommend applying to the University for fall admission so you can complete required core courses for the major. If you have already completed these courses, you can take the required upper division GE Pathways courses which will ease your course load during the remainder of the program. If you have all pre-requisites met and have completed all core courses, spring admission may be an option. Please schedule a meeting with the advisor to discuss this option. Step 3: Apply to the BSW program  using the online Professional Sequence Application, between August 1–September 30. Applying to the BSW program while currently enrolled in the social work core courses (SWRK 170, SWRK 200, and SWRK 202) is common. 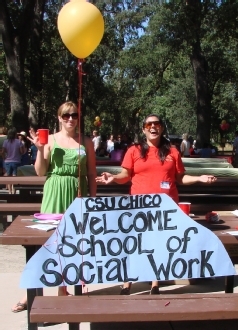 Please note: Admission to CSU, Chico does not guarantee acceptance to the BSW Professional Sequence.